SMS marketing software enables companies to plan and implement marketing campaigns that target mobile devices via SMS (Short Message Service). Users have the ability to gain new customers using permission-based subscribe links within campaign messages, as well as implement digital advertising promotions using MMS (Multimedia Messaging Service), polls, coupons, surveys, and more. With bulk messaging, users can send numerous promotional text messages with one click, enabling businesses to gain a large number of new subscribers quickly and easily. Businesses may also exhibit customer loyalty using proactive notification software, which serves as a complementary communication method involving subscriber loyalty notifications like shipping notifications or appointment reminders. For sales and marketing teams that are looking to harness additional available outlets for mobile advertising campaigns, such as mobile web browsers, mobile email, and apps, mobile marketing software is an all-encompassing companion to SMS marketing. SMS Marketing reviews by real, verified users. Find unbiased ratings on user satisfaction, features, and price based on the most reviews available anywhere. EZ Texting is the #1 mobile marketing platform for business. Over 50,000 consumers and 40% of all mobile users in the U.S. receive messages from us each month. TextUs is a business texting application. Texts can be managed from desktop or mobile. Users can text team members and integrate with popular platforms. Texts can be tracked and recorded for results. SlickText provides businesses and organizations in the United States and Canada with a feature-rich and cost-effective solution for SMS marketing and mass text messaging. Their cutting edge platform and unique, hands on approach to customer success gives their users the knowledge and tools to execute successful mobile marketing and communications strategies. SlickText is known for their amazing platform, off the charts customer service, their knowledge of compliance and creating wins for their users. TextMagic offers a fully featured business SMS platform to enhance communications and improve business operations. You can send texts messages online to your staff and customers, import contacts and manage lists all through your TextMagic account. Integrate our SMS gateway with your website or software using SMS API tools and add text messaging to your business workflow. Use our dedicated or shared SMS numbers to receive inbound SMS and replies to your text messages from customers and staff. An email sent to a distribution list address is immediately forwarded as a text message to all mobile numbers saved in the list. Reach your customers and staff worldwide with access to over 1,000 mobile networks across 200+ countries. SMS Marketing Services made easy. Instantly send 10 or 100,000 SMS Text messages to any mobile phone number. Easily build a opt-in subscriber list. Schedule text messages to go out any time you want. Track text message delivery. Whether you’re sending mobile text messages for marketing alerts, sales events, coupons, discounts, announcements, or notifications.. Textedly makes communicating with your contacts easy and efficient. Import contacts and manage lists all through your Textedly account. Mobiniti offers a mobile marketing platform for clients looking to invite their customers to engage with their brand through SMS via their mobile phone. We provide solutions to acquire their most loyal consumers' mobile phone numbers for re-marketing. Then, build loyalty with these consumers through frequent, targeted, mobile promotions. 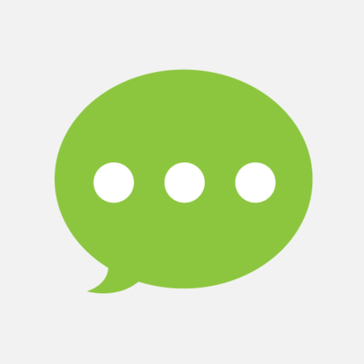 SMS-Magic is a conversational text messaging for business. Call Loop is a SMS marketing and broadcasting platform. Users can create & send voice broadcasts, sms marketing campaigns, alerts, notifications, and reminders to contacts. Users can track analytics and insights on how their messages are performing. TheTexting.com offers best SMS API services and SMS Gateway services for OTP text messages, notification texts, etc. SMSGlobal offers a web-based platform and API's enabling businesses to send mass SMS's. SMS Mobile Marketing Platform is the leading global mobile platform for mobile advertising, marketing and content distribution. Drive traffic to your business by sending text messages to your customers. Text "textfleet" to 71441 to see how it works. Textlocal provides everything you need for your mobile communications. They assure great returns for your SMS campaigns with features such as, superior user experience, robust technology and excellent carrier relationships. JookSMS is a bulk messaging service that allows you to scale your messaging, as well as fine-tune your campaign to meet the needs of your business. Easily manage your SMS marketing campaigns and Transactional SMS using next generation platform that is reliable, scalable, fast and extremely secure, putting you in control of your data while protecting valuable client information as well. Aerialink Conversations is an SMS marketing solution to send messages with features for sending from a landline, toll-free, shared and private messaging, and enables global delivery of SMS and MMS messaging. Alcodes is an SMS marketing solution offers Mass SMS services, help businesses to send bulk SMS with instant delivery and analytics built in. allmysms is an SMS marketing software that includes tools to send bulk SMS marketing campaigns throughout web or APIs but also transactional and single SMS. Anchor Mobile is a mobile marketing software that lets advertising agencies and brands connect with audiences through drip text messaging campaigns. AutoBlast Messenger is an SMS marketing software that captures web subscribers from all websites and then helps to text those clients. Avetty is an SMS marketing software that allows real-time feedback with SMS surveys. It helps users to boost the sales with SMS marketing. Baytech Mobile is an affordable text marketing software and sms software designed to connect instantly with customers on the mobile devices. BulkSMS provides several products for sending and receiving SMS messages. Once registered on the BulkSMS platform, a user has access to all of them. Dove Soft, a no. 1 digital communications company in Mumbai, India provides complete suite of communication solutions viz. bulk SMS, voice messaging, digital marketing, software & API's. Bulk SMS Gateway Software is a document management, utility billing, asset management, and municipal software. It allows sending SMS from our SMS web Panel, SMS Gateway center Excel SMS, toll-free SMS modules. It also provides short code SMS and long code SMS services with two way SMS options. Bulk SMS Service is an online provider and a marketing tool that allows to schedule the SMS with date and time want to pass the message, send SMS through Excel plug-in user-friendly SMS Gateway, API, web, and Android apps, and check the delivery status of SMS. Bulk SMS-Voice Call is a solution helps companies to communicate with the target audience for marketing the products or services. PremiumTollFreeVanity.com is an SMS marketing software with memorable phone numbers, text and Email marketing, on-demand coupons, custom landing pages, flyers, and SMM. CheapestTexting is a marketing messaging platform. It allows users to receive free incoming text messages and send cheap outgoing text messages to users. Always be a step ahead of your competition and advertise your products with sms messages. GetReminds is an appointment reminders and messenger software designed to automate business communication processes. Fully customizable mobile marketing platform designed to enhance brand and consumer engagement using SMS marketing. iVision Mobile provides mobile marketing and text messaging software solutions for businesses, both large and small. Users can send text messages (SMS messages), MMS messages, and create interactive mobile campaigns with our easy to use web-based Text Messaging Software. Hi there! Can I help you find the best SMS Marketing solutions?